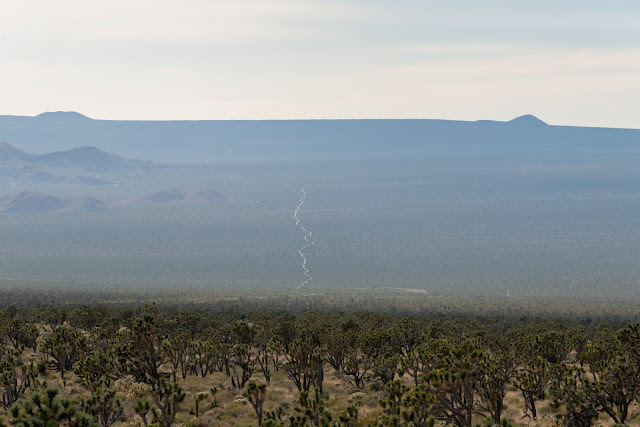 Solar Reserve’s proposal to build at least eight more solar power towers immediately north of Tonopah, Nevada probably will face an uphill battle, but not for the reasons you expect. A review of documents submitted by the company to the Department of Interior regarding its proposed Sandstone Solar project suggests poor attention has been paid so far to the threat the project may pose to military aviation. The project would cover nearly 25 square miles with thousands of giant mirrors to reflect the sun's light. Glint and glare emanating from the project could temporarily impair the vision of aircrew transiting a low-level military flight corridor next to the project, based on a study conducted by Sandia National Laboratories. 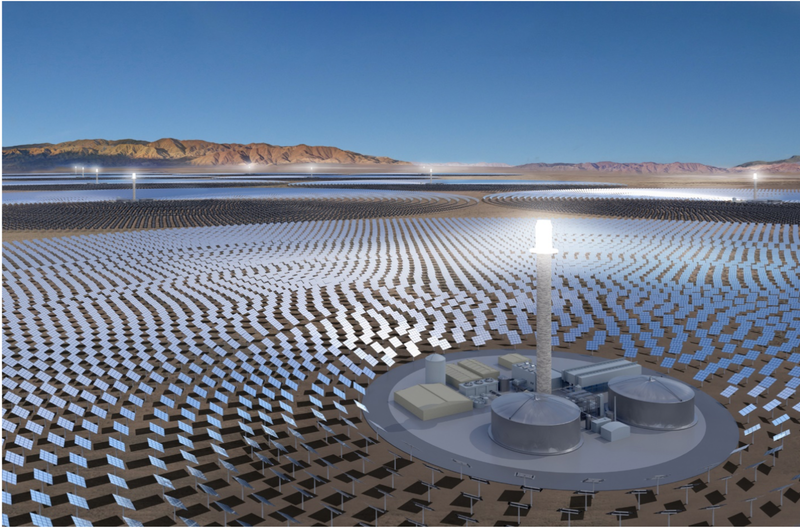 According to the Sandia study, the glint and glare emanating from mirrors associated with solar power tower projects can cause temporary after images (temporary vision impairment) for people within six miles of the project. This impact radius would affect nearly the entire width of the military flight corridor, and could potentially disrupt military training operation. 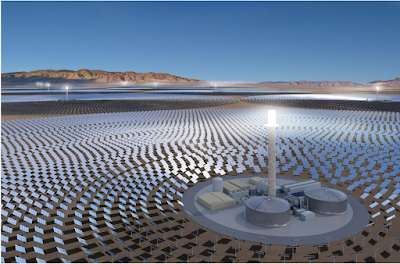 Solar Reserve was allowed to build its Crescent Dunes project in the same area, but that project consists of a single power tower and mirror field a small fraction of the size of the proposed Sandstone Solar project. 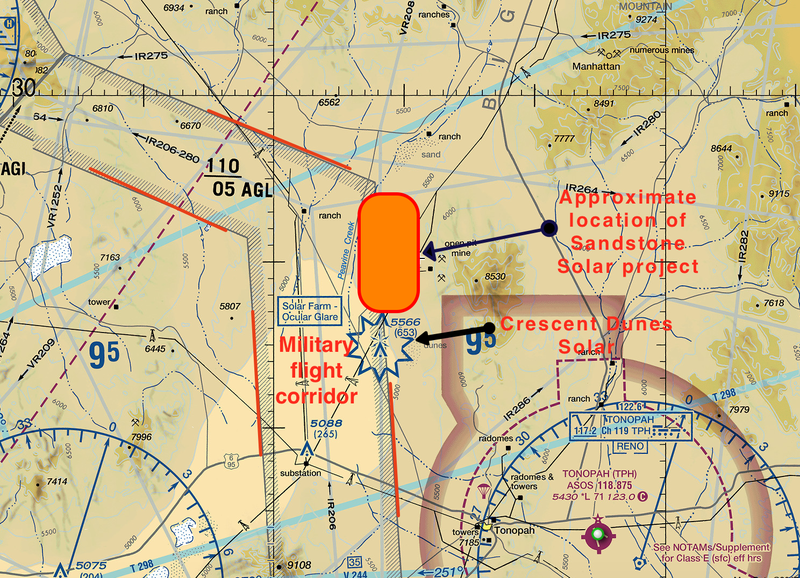 Adding 25 square miles of mirrors along the military flight corridor probably would increase the risk to aviators and disrupt flight training operations. Instructions issued by the Department of Defense in 2015 [PDF] direct military officials to specifically evaluate the impact of glint and glare of solar energy projects. 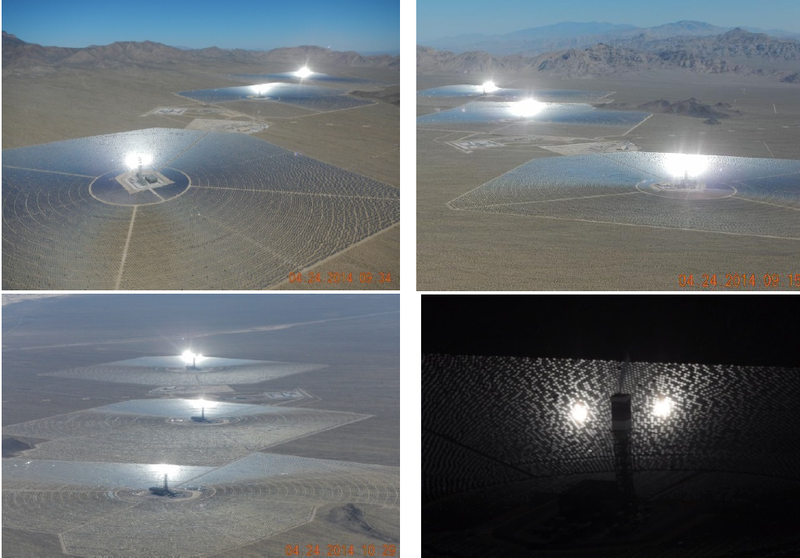 These instructions were issued after the Crescent Dunes solar project was approved and constructed, and after studies began to indicate that solar power tower projects could temporarily impair the vision of air crew traveling near such projects. The aviation chart above shows the relative location of the military flight corridor to the proposed Sandstone Solar project and the existing Crescent Dunes solar project. It will be up to the military to decide if this project poses a risk to its operations, but the law is on the military’s side if it decides that the project poses an unacceptable risk. Any potential hazard to aviation must be reported to the Department of Transportation, according to law relating to air commerce and national security. The Department of Transportation then must consult with the Department of Defense Siting Clearinghouse to determine whether the potential hazard can be mitigated. If the Department of Defense determines that the Sandstone Solar project endangers safety or impairs its training activities, the decision could result in the project not receiving approval to proceed on public lands. An image from the Sandia National Laboratories study showing examples of glint and glare from the Ivanpah Solar power project in California. Note that images do not have the same impact on vision as real life exposure to the glint and glare. According to documents submitted by Solar Reserve to the Department of Interior - and obtained by Basin and Range Watch through a FOIA request - the company claims to have had several meetings with unspecified officials at Nellis Air Force Base. It is not clear from the documents whether or not Nellis Air Force Base has elevated review of this project to the Department of Defense Siting Clearinghouse. Although Nellis Air Force Base's operations could be impacted by the project, the flight corridor that would be affected probably is used by other branches of the Armed Services, including the Navy. The project is sandwiched between the Navy's Fallon Range Training Complex to the north, and the Nellis Test and Trainign Range to the south. 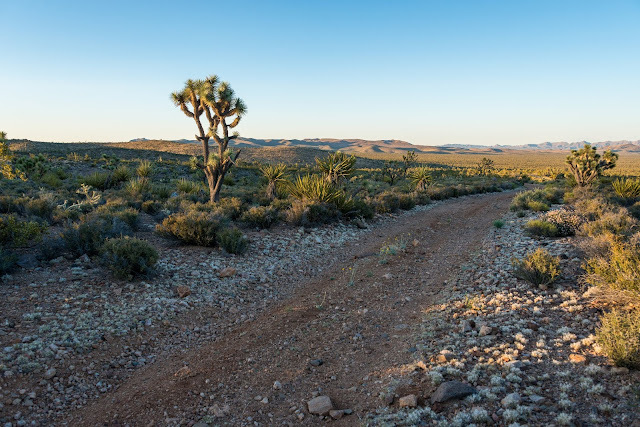 Ultimately, Solar Reserve's proposed Sandstone Solar project underscores a persistent problem among many industries seeking to exploit public lands in the desert southwest. They view open desert wildlands as a blank canvas for their projects, experiments and infrastructure. What they fail to realize is that they are looking at a patchwork of other uses and sensitive resources. From endangered wildlife, over-drafted groundwater resources, recreation areas and military test and training ranges. 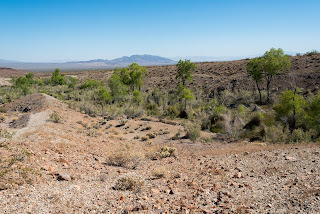 The desert is not empty and building large industrial projects there cannot be done without running into conflict with other resources or uses. The Department of Defense is a major resident of our desert wildlands. We know this from the expansion of their bases that impact wildlife and recreation areas. Apparently Solar Reserve is still in denial. A screenshot of a map showing low-level military flight areas in the southwest. The map is available on the Department of Defense Siting Clearinghouse page.